Woah. Looks like the conspiracy theories were true! 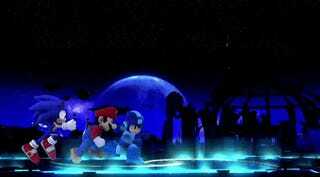 The news comes out of a Smash Bros. roundtable tonight in E3. 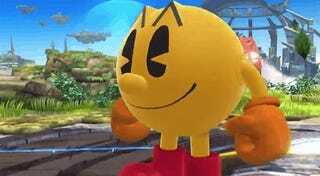 Jason—who is attending the event right now—says the game features a new-style Pac-Man that can transform into an old-school Pac-Man for certain attacks. Neat. Pac-man has a fire hydrant move, and can spit out pellets and eat them, in a charge-like move. Additionally, he also has a move where he can cycle through fruits. Pac-Man also appears to have his own stage.